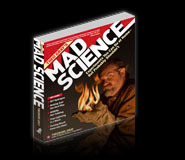 ired of waiting for our fuel of the future to come of age? 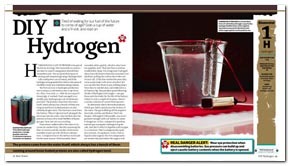 Grab a cup of water and a 9-volt, and read on HYDROGEN HAS A LOT OF PROMISE to be part of the future of energy. Not necessarily as a source- you have to create it using power derived from somewhere else-but as a powerful means of storing and transporting energy. Hydrogen fuel cells could power cars or homes, and if the hydrogen were generated by wind or solar power it would be a truly zero-emissions energy system. 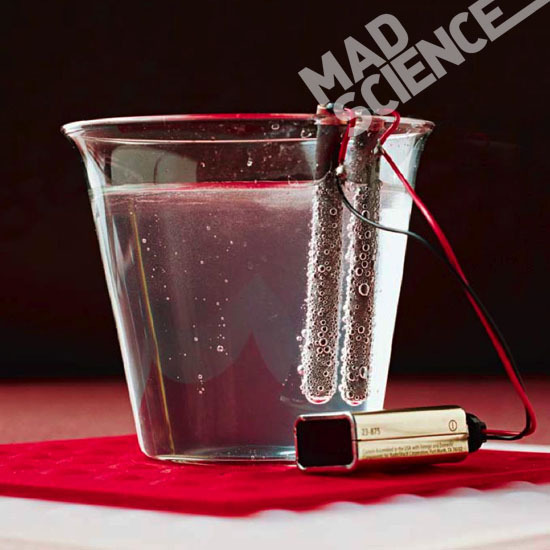 My first exercise in hydrogen production was to drop a 9-volt battery into a cup of water. (Hey, I was only 12-what do you expect?) 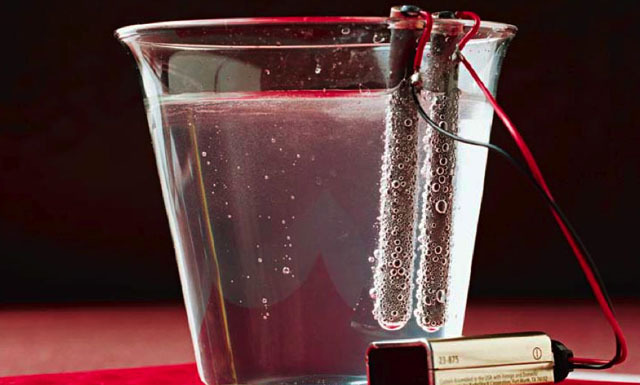 Amazingly, it worked: I had managed to assemble pure hydrogen gas out of subatomic particles!